The centromere is the central region of the chromosome that ensures correct distribution of chromosomes between daughter cells during cell division, whilst telomeres are important in preserving the stability of the tips of each chromosome arm. Figure 12.12 Yeast artificial chromosomes (YACs) are used to clone large fragments of DNA. Cleavage with the REs BamHI and SnaBI leads to the formation of two arms, between which fragments of foreign DNA of several hundred kb may be ligated. The final construct contains a centromere, telomere sequences and an origin of replication, and is able to act like a natural chromosome. From Reece, RJ: Analysis of Genes and Genomes, John Wiley & Sons, 2003 Reproduced by permission of the publishers yeast chromosome that ensure its stable replication; these include an origin of replication (the autonomous replication sequence, ARS) the CEN sequence from around the centromere, and the telomeres at the end of the chromosome. 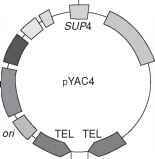 When placed in S. cere-visiae cells, the presence of these sequences allows the YAC to replicate along with the natural chromosomes. The fragment to be cloned is inserted between the two arms of the YAC (Figure 12.12). Each arm carries a selectable marker; it is important to have two, to ensure that each construct comprises both a right and a left arm, and not two of the same. Insertional inactivation of a third selectable marker (situated around the point of insertion) allows the detection of recombinants. Bacterial artificial chromosomes (BACs) allow the cloning of fragments as large as 300kb in length into E. coli host cells, although 100-150kb is more routinely used. They are based on the naturally occurring F plasmid of E. coli; recall from our description of bacterial conjugation in Chapter 11 that the F plasmid can pick up considerable lengths of chromosomal DNA, when it becomes known as F'. 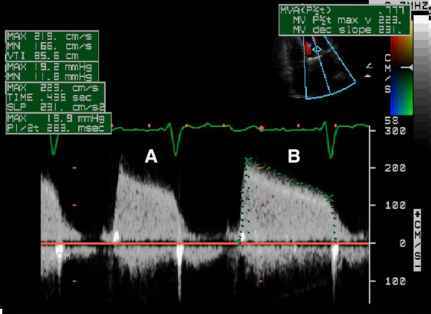 BACs have the advantage over YACs that they are easier to manipulate, and inherently more stable. Phage P1-derived artificial chromosomes (PACs) are another relatively recently developed class of vector for use in E. coli, with a comparable capacity to that of BACs.